Lately, we’re amped up by news out of Scotland set to upend the pharmaceutical industry: desktop 3D printing of medicine. Leroy Cronin, a chemist at the University of Glasgow, and his team have developed a desktop 3D printer capable of following digital instructions to create a sequence of reactions required to make complex drug molecules from widely available starting compounds. Using their prototype, the team made a muscle relaxant, an epilepsy treatment and a drug for gastric ulcers. This means custom-tailored, on-demand medications for patients are coming. Perhaps, we will see pharma companies use such tech to amp up production of medications in short supply or ones that are rare and expensive. What’s needed next is a dramatic re-writing of current regulations around medicine production. Instead of regulators confirming that a production facility makes drugs to certain standards, they’ll have to ensure digital instructions produce drugs consistently. 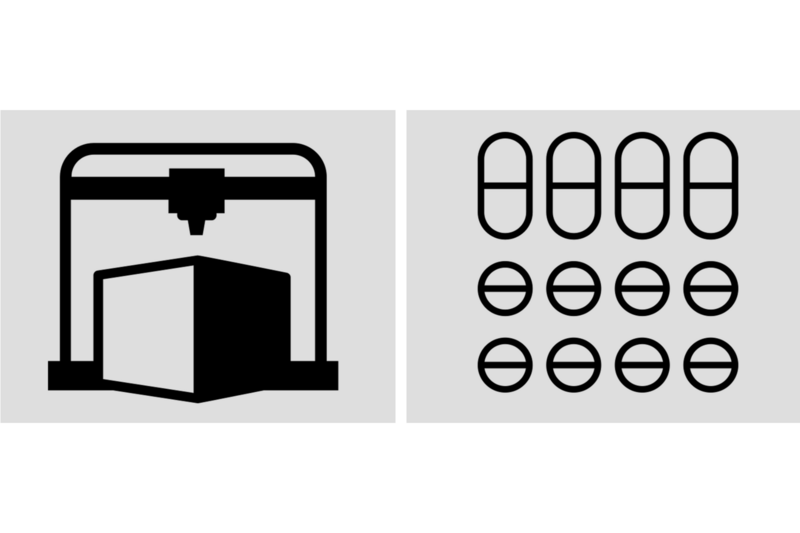 Health benefit insurance companies will have to determine how to provide coverage for 3D printed medications. Once again, tech is moving far faster than industries and governments can keep up.